insured tradesmen, can beautifully clean or restore your roof. services, including roof repair and roof restoration. Australia’s only specialist vacuum gutter cleaning service employing qualified roof tilers and the latest cutting edge technology to provide you with the fastest, safest, most reliable and long lasting gutter cleaning result for your home or commercial property in Melbourne. Get a free no obligation quote on gutter cleaning, roofing or other related property maintenance service by calling 1300 459 694 or send us your contact details on the form and we’ll promptly call you back. As a specialist provider of gutter cleaning services, we invest in technology that is best suited to the task, while providing superior service based on experience. 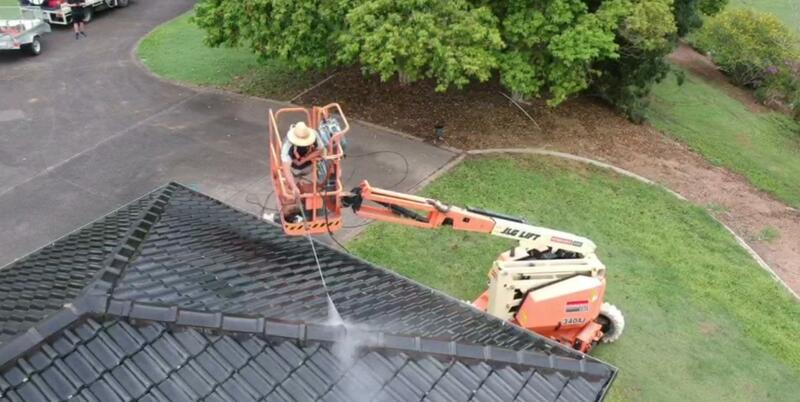 Don’t risk your health or those of a family member or colleague for clean gutters! Our team of professionals use the required safety equipment to work at heights and minimise risk of injury. Australia’s only specialist vacuum gutter cleaning service employing qualified roof tilers and the latest cutting edge technology to provide you with the fastest, safest, most reliable and long lasting gutter cleaning results for your home or commercial property in Melbourne. We also provide a range of residential and commercial specialist roofing services, such as roof repair and roof restoration. Apart from roofing services, Porter Vac offer property maintenance services such as pressure cleaning for both residential and commercial customers. When you need your gutters cleaned properly, Porter Vac will make the entire process fast, affordable, stress-free and leave you with immaculately clean gutters and downpipes. No matter what size the job, no matter how hidden the leak, our team of professional tradespeople will have your roof repaired quickly and at a great price that every homeowner can afford. Cleaning your gutters of debris and grime may seem If your roof has been battered with years of punishment from the elements, a quality roof restoration can prevent and fix leaks. Solar panels are a great way to save money and the environment, but unless they are cleaned regularly you will soon have some very expensive roof ornaments collecting dust. Just had my gutters cleaned for the first time since our house was built 2 years ago and the team at PorterVac were fantastic to deal with, so much so that I didn't even shop around for price, although it sounded reasonable in any case! Their website is very informative, communication is excellent and they are just very professional and friendly to deal with. Our house is large and the roof is quite pitched, but Dale completed the work quickly and efficiently and checked our roof over for any broken tiles, whilst he was up there. What a wonderful experience. I made the appointment on line. The follow up phone call advising the inexpensive cost only set the scene for the professional experience that followed. Nathan called to advise the time he would arrive, and after arriving on time, he explained the process, conducted the work, replaced troublesome roof tiles and took photos not only of before and after blocked down pipes, but also damage that needs repair. I will happily share my experience with others. Thanks team, its refreshing to receive such fantastic customer service.